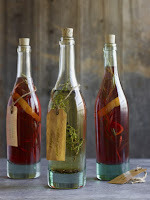 The Organic Tippler: How to make Red Wine Vinegar. 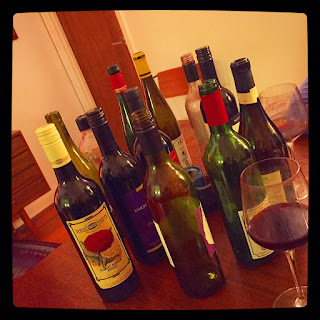 It happens to the best of us... a bottle of red is opened and a glass or two consumed (possible late in the evening, probably after a few too many other bottles), and the drinkers give up and go to bed. Sadly this bottle is neglected (possibly due to a hangover and the vehement promise to never drink again!!) and over several days later is has lost that freshness and is no longer wanted. And let's face it, if it was the last bottle at the end of a big night it was probably not your best (or sadly it may have been your best that you grabbed while under the influence and miserably regret not having first up). Instead of tipping this poor ignored wine down the sink, why not get all frugavore on yourself and make RED WINE VINEGAR!? 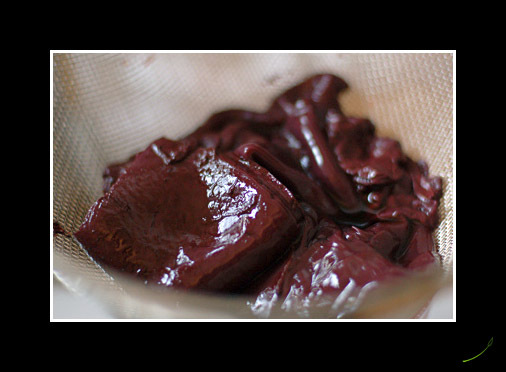 I've made Red Wine Vinegar before and seriously it was delicious. There is not much better than making a dressing, or a meat sauce, with a vinegar that you've lovingly tended to... plus it really does mean that those last few dregs, or forgotten half bottles of wine, don't go to waste. Also, if you're looking to make Christmas gifts for all those distant relatives, colleagues, or random people who all come out of the wood work during the silly season, this vinegar, poured into a nice bottle with your own label is a primo present! With this option you've got to get yourself a vinegar 'starter' mother. Yes, MOTHER. Making vinegar isn't that far off making kombucha, so you'll fit right in with the Hipsters. You can get a 'mother' from a brew, or wine making, shop. I live in the inner north in Melbourne - Italian heartland - so there are a few shops around with all the right gear. A simple google search of your neighbourhood will point you in the right direction. Once you got your slimy mother, simply follow the instructions that it comes with. Instead of adding a purchased mother, you could add 3 tablespoons of 'live' vinegar (Bragg's, or if someone you know makes vinegar, some of their batch, for example) per cup of wine, and follow the steps in option two. The mother from a batch of Red Wine Vinegar. First you have to find a jar, or jug, or a cooking pot, with a wide mouth (the wider the better). Pour your wine in until the container is about two-thirds full. Don't be tempted to over fill as you will make spills later in the process. If you have a good low alcohol wine it's good as is, if you have a higher alcohol wine, mix in a bit of water to dilute it. The high alcohol content can cause essential bacteria to curl up and die, or at least not grow so well. I highly recommend you use a no added preservative wine in this process, as sulphites can (rightly so) overly 'preserve' the wine, and inhibit the conversion of alcohol to acetic acid. Cover the container with a breathable muslin cloth and secure with a rubber band or string. Nothing worse than spending weeks waiting for awesome vinegar to find that it's full of dog hair, or dust. Place your container in a warm place, out of direct sunlight. Shake or stir your vinegar (carefully so as not to slop!) a few times a week. Over this time you will become the proud creator of a 'mother'. It is a slimy, blobby thing that sits on top of the wine, eventually sinking to the bottom and allowing a new mother to take its place. In anywhere between 2 weeks to 2 months, you will have a lovely lot of vinegar (or something not quite vinegar which means tip it out and head back to the drawing board). Once your brew tastes more like vinegar and less like wine (start tasting at the 2 week mark) you should pour it into bottles or jars that seal (swing top beer bottles, or old wine bottles are great). Prolonged exposure to the air can spoil your vinegar. You can pour off your vinegar, and can keep adding fresh wine to the remainder of the brew (mother included). The newly added wine will be 'vinegarised' much more quickly than your first batch. Now, if you find yourselves in the position where you don't ever have left over wine (I won't judge you), you might like to grab a bottle of our affordable preservative free cleanskin red as a starter. You could even, once you got this down pat, try a white wine vinegar, or add herbs and the like for extra flavour. No more wasted wine! Get mixing now to have vinegar in time for Christmas. I'd like to say 'Happy drinking', but think that this might not be the best sign off today. So, Ciao!